With integrated RFID readout protection. Perfect organisation, as only a few other ladies’ wallets offer. 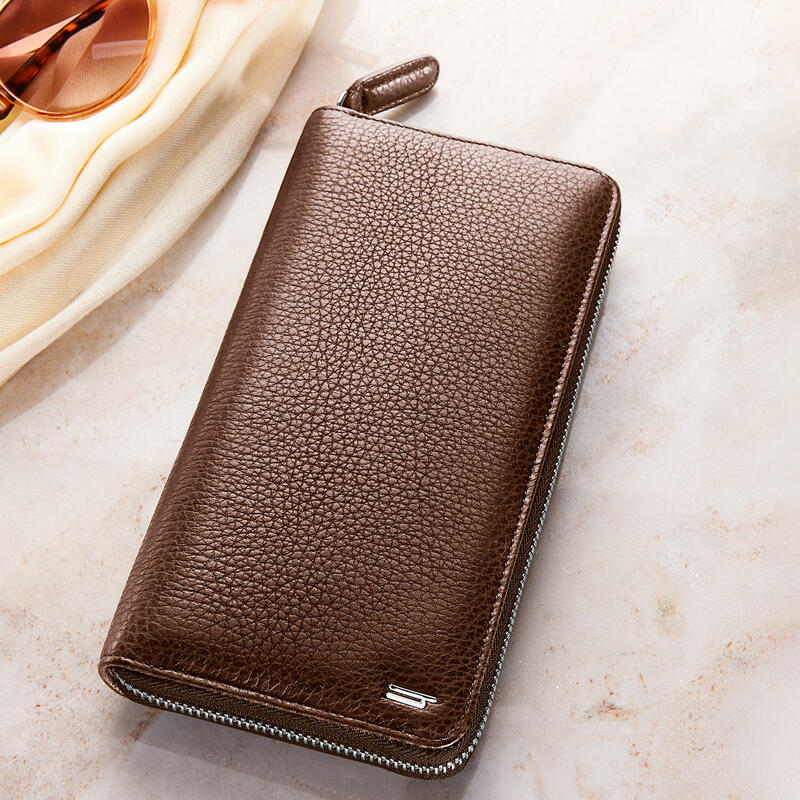 By Hartmann, specialist for luxurious leather goods since 1877. Exclusively at Pro-Idee. A simple, elegant, timeless modern design – and a very special material: Bison leather. The thick-skinned, distinctively grained leather of the massiv wild cattle is naturally extremely durable but still soft to the touch. Each hide is unique. Hedge tears or other scars prove its authenticity. Carefully tanned and aniline-dyed in Germany, the leather retains its natural beauty. A special film reliably protects the contents against RFID readers. No one can spy on your ID card, bank or credit cards in passing. In the 12 (!) pockets you can store your bank, credit and customer cards clearly and securely. 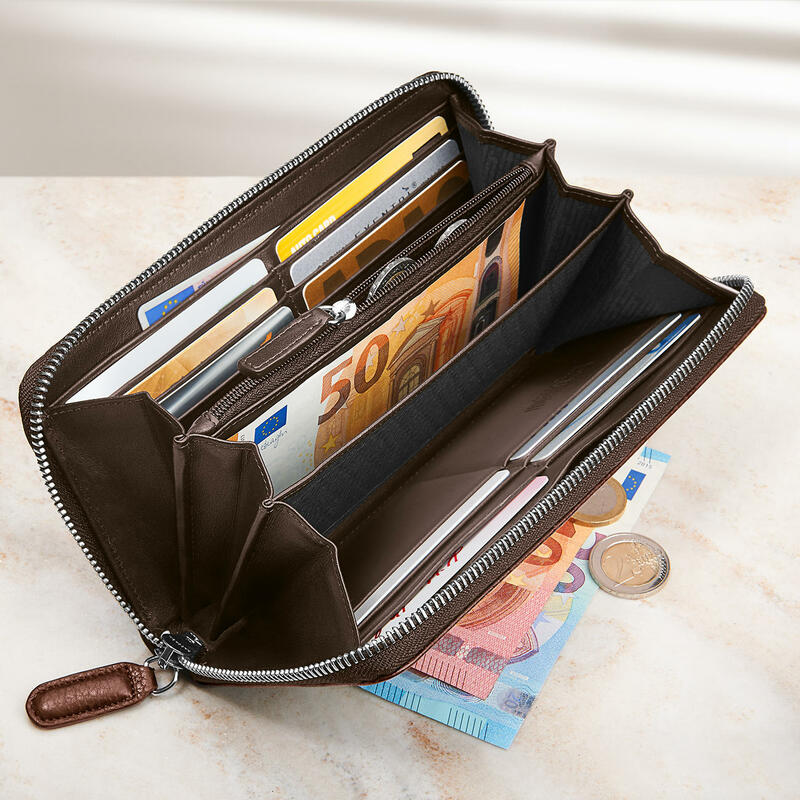 5 large pockets hold bank notes, documents, receipts, ... and coins are securely stored in the zip compartment. Measures 10 x 20 x 3cm (3.9" x 7.8" x 1.1") (H x W x D). Weighs approx. 210g (7.4 oz.). Colour: Brown.